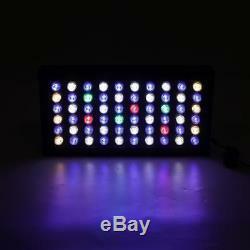 The dimmable LED aquarium light uses quality Epileds LEDs, energy efficient, full spectrum. Professional light proportion can perfectly simulate nature environment. Best choice for your coral reef, fish, LPS , SPS in tank. 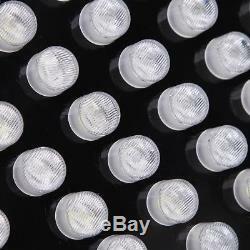 2x Dimmable 180W LED Aquarium Lights Full Spectrum Lamp Tank Coral Reef Marine. 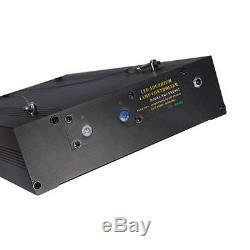 Quality Epileds LEDs -Emits more effective light for aquarium application. External drive, key panel dimming, aluminum housing, fanless aluminum housing cooling. Unique Secondary lens-makes light more focused, can penetrate to the bottom of tank. Dimmable-Separately control blue and white channel, Dimmer allows to adjust brightness as you want. Circuit-protection-Other LEDs still work when one out (No zener required). 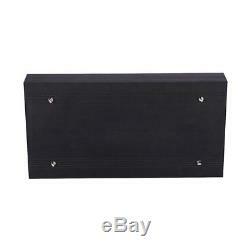 Effective Heat Radiating System-Quality metal housing with appropriate vent design, no cooling fan required, no noise. 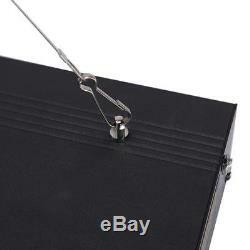 Powerful Hanging Kit-4 strong wires and hooks for easy & secure installation. Working Voltage: AC 85-265V 50/60Hz. Material: Aviation grade quality aluminum and iron housing, clear PC lens. 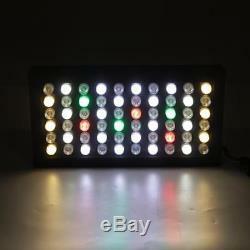 LED Quantity: 60pcs3W Epileds LED (30 Blue+4 Red+4 Green+6 Warm White+6 Pure White+ 10 Cold White). Light Spectrum(controlled by 2 channels): Blue 430nm;Green 500nm;Red 620nm;Warm White 3500K;Pure White 6300K;Cold White100015000K. 90 degree and 120 degree mixed Beam Angle, 30 degree secondary optic lens. Plug Standard: US 1.5M cable length. Working Temperature: -2040 Degree Celsius. Recommend Height above Water: 12"-16". Recommend Lighting Time: 14 hours on, 8 hours off. Recommend tank Size: 20"-31.5". 50,000100,000 hours life time. Channel 1(30 LED): Blue. Channel 2(30 LED): Red, Green, Warm White, Pure White, Cold White. The channel brightness can be adjusted individually from the brightest to the darkest by the button of the back of the lamp. And the controller has built-in memory function which means it can restore your last set when start up next time. Indoor use only, not intended for outdoor use. Do not drop the light into water. 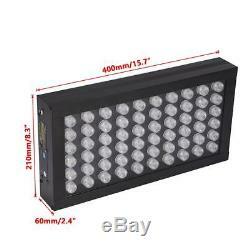 2x 180W Full Spectrum LED Aquarium Light. Crystal Lens 90Degree Strong LUX. Blue 430nm;Green 500nm;Red 620nm;White 3500K, 6300K, 100015000K. Ideal for aquatic habitat and marine organisms. 20 to 50 Gallon tank. 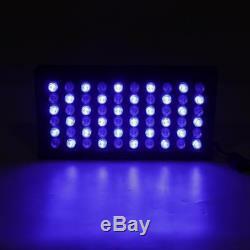 60pcs x 3W Epileds LED. 14 hours on, 8 hours off. Be applied to your order immediately. Please be noted, this service is more recommended for Mondy to Thursday orders. Orders on Friday may be processed on following Monday by UPS, according to UPS's policy. Used items will not be accepted for return. Our working time: (GMT +8) Mondy to Friday, 9:00-18:00. We appreciate your business and strived to improve our customer service and our commitment to quality. To work with you to have it resolved. 216W Dimmable LED Aquarium Light Full Spectrum Fish Tank Coral Reef Remote Lamp. 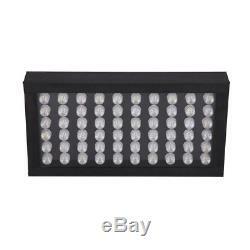 180/360W Dimmable LED Aquarium Light Full Spectrum Lamp for Fish Tank Coral Reef. 2x 54W Full Spectrum E27 LED Plant Grow Light Bulb Hydroponic Indoor veg Flower. 324W Dimmable LED Aquarium Light Fish Tank Lamp 48'' Long for Coral Reef Growth. 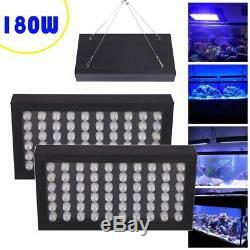 2x 180W LED Aquarium Light Dimmable Lamp For Tank Marine Fish Coral Reef LPS SPS. Dimmable 216W LED Aquarium Light Bar Strip Full Spectrum Reef Coral Marine Tank. 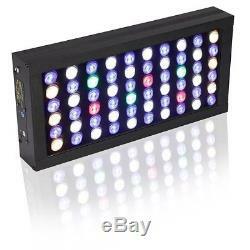 Reflector 900W LED Grow Light Hydroponics Full Spectrum Panel Lamp Indoor Plant. Dimmable 144W LED Aquarium Light Bar Strip Full Spectrum Reef Coral Marine Tank. Dimmable 72W LED Aquarium Light Bar Strip Full Spectrum Reef Coral Marine Tank. 300W LED Grow Light Full Spectrum Crystal Lenses Lamp For Greenhouse Veg Flower. The item "2x 180W LED Aquarium Light Dimmable for Tank Marine Fish Plants Coral Reef Lamp" is in sale since Friday, May 12, 2017. This item is in the category "Pet Supplies\Fish & Aquariums\Lighting & Bulbs". 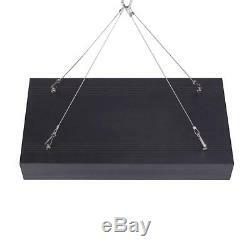 The seller is "rbigdoggy" and is located in CA/KY. This item can be shipped to United States. Recommend Height above Water: 12"-16"